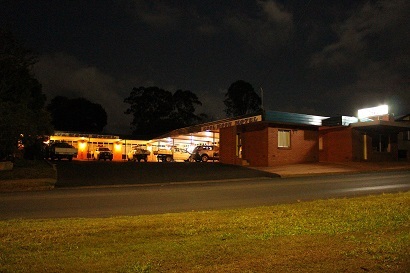 Ravenshoe, pronounced Ravens-hoe, is the highest town in Queensland at 920m above sea level. It has a population is about 1000 people in the township and many more in the surrounding area. 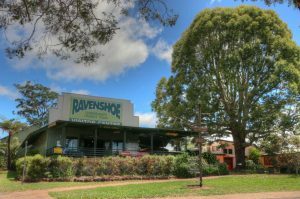 Situated on top of the Great Dividing Range, Ravenshoe sits between the Wet Tropics World Heritage rainforests to the east and the drier, open forests of the Gulf Savannah to the west. 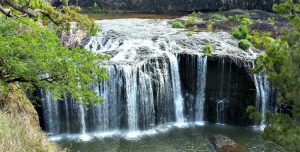 Ravenshoe is surrounded by natural wonders like Millstream Falls and Lake Koombooloomba. Ravenshoe is the highest point of the Misty Mountains walking tracks network, and is a great location for wildlife watching, particularly for platypus, 12 species of possums, 340 bird species and of course, Lumholtz’s tree kangaroo – which is just one of 14 species of kangaroo to be found in the area. 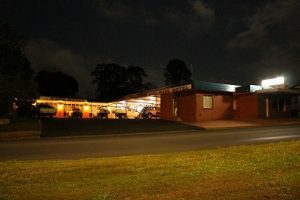 Historically Ravenshoe was a town with a proud heritage of extracting timber from the surrounding forests. 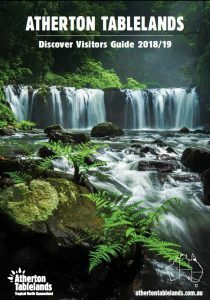 Since 1987, when the government world heritage listed 900,000 hectares (2,200,000 acres) of surrounding rainforest, the main industries have been tourism, beef and dairy farming. The locals live a lifestyle to be envied, and celebrate it every year in the annual Torimba Festival of the Forest in October. Windy Hill Wind Farm was the first wind farm to be built in Queensland. It generates enough electricity to supply about 3500 homes – equivalent to the population of nearby towns of Atherton and Mareeba. 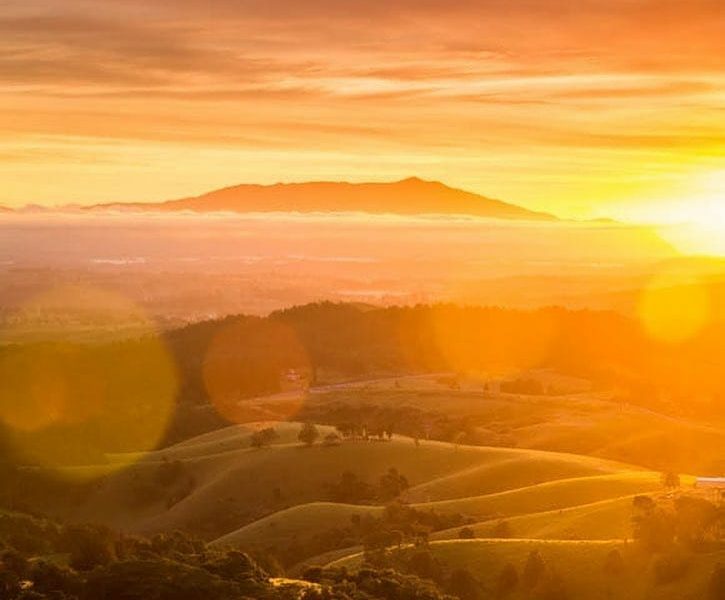 Created on the extinct Windy Hill volcano in 2000, its 20 wind turbines take advantage of the consistent winds on the volcano’s slopes. On a clear day, the views from the lookout platform are spectacular, taking in the farming countryside right through to the coast. 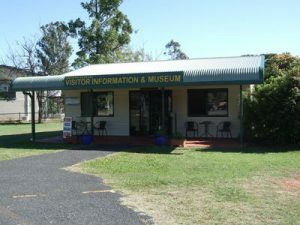 From Ravenshoe travel south on Tully Falls Road to Koombooloomba National Park and Conversation Park. 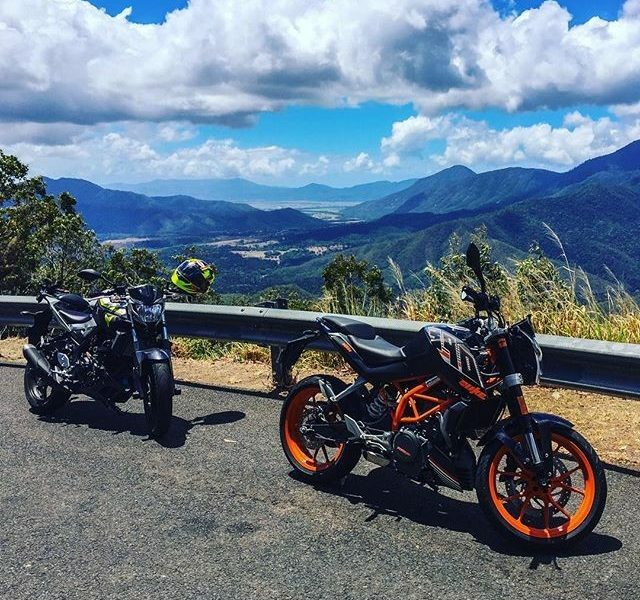 This sealed and unsealed road travels through Tully Falls National Park before reaching the boundary of Koombooloomba National Park, 20km from Ravenshoe. There are three camping opportunities in Koombooloomba National Park and Conservation Park. Bush camp along Nitchaga Creek and Wall Creek roads in Koombooloomba National Park or in the defined bush camping area on the waterfront. 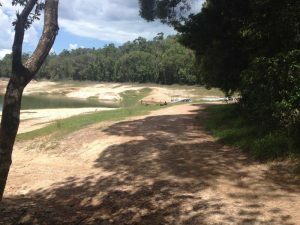 Koombooloomba Conservation Park has a camping area with defined sites and some facilities. Camping permits are required. 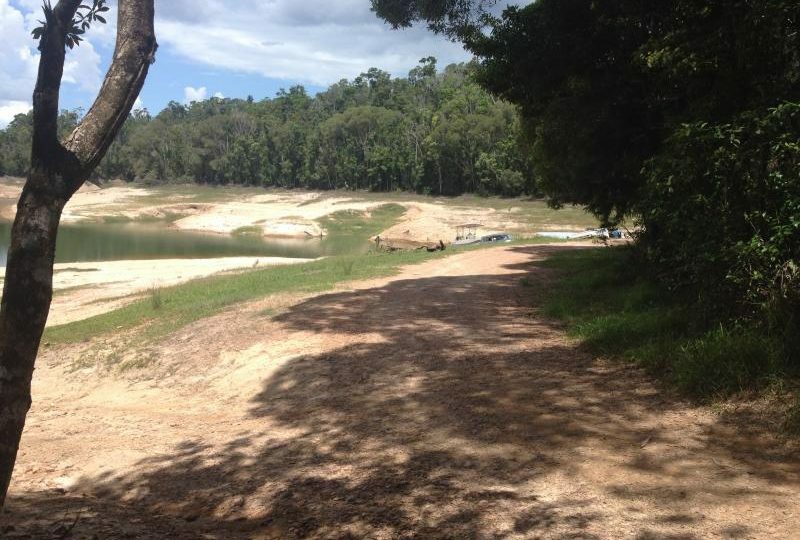 Koombooloomba Dam is popular with water skiers and anglers. The dam is not part of the national park. 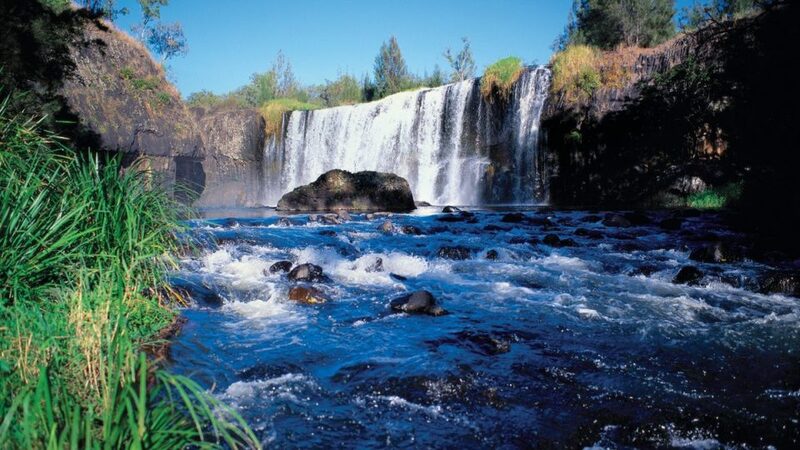 Big Millstream Falls is reputedly the widest single-drop waterfall in Australia. 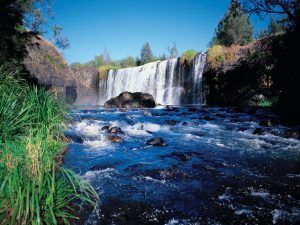 A walking track leads to a viewing area over the falls. A separate entrance to the park leads to Little Millstream Falls. 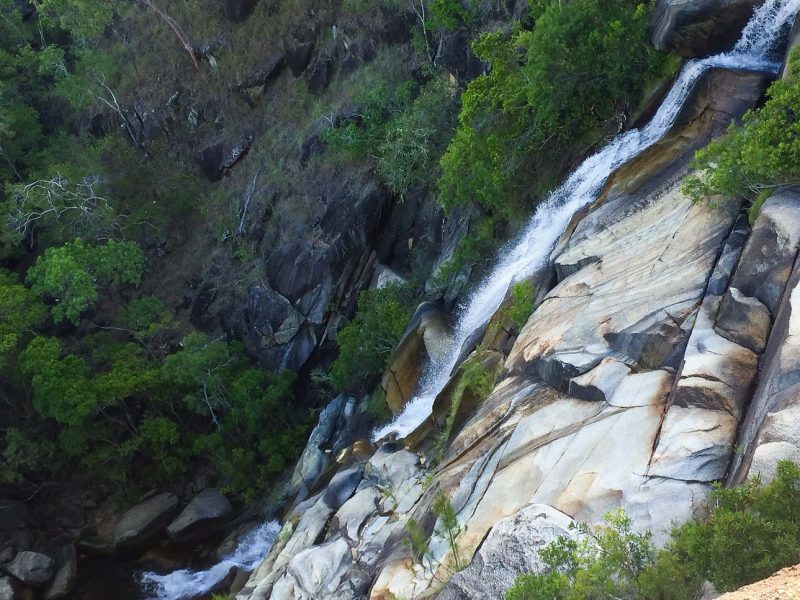 View these beautiful falls from just near the carpark or take the steep and narrow track to their base. 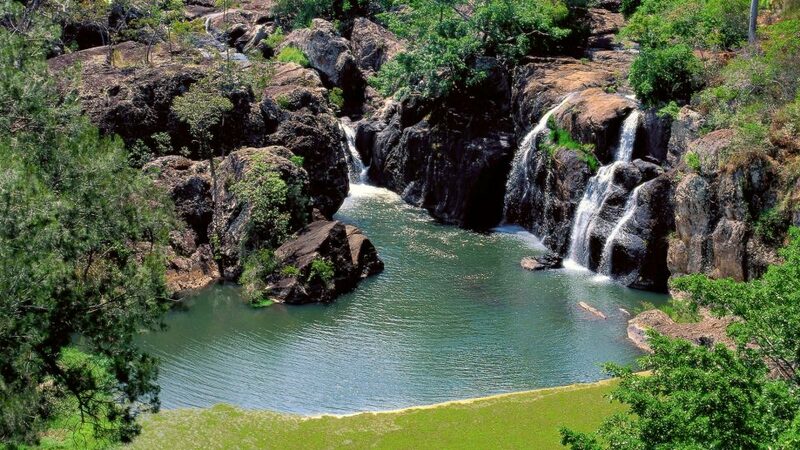 Located between Ravenshoe and Mount Garnet on the Kennedy Highway is Innot Springs. The hot springs of Nettle Creek have long been established as rejuvenating and healing and the water was even bottled and shipped to Europe a hundred years ago. Five kilometres north-west of Innot Hot Springs, Mount Gibson is popular with fossickers for its gem topaz. Camping is not permitted and a fossicking licence is required. 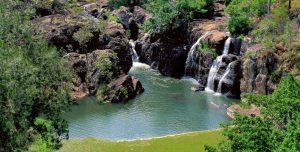 Mount Garnet is a small town on the Savannah Way and attracts gold fossickers and gem collectors. Originally founded on the discovery of copper and garnets in 1882, mining operations continued until the early 1900s when the Mount Garnet Freehold Copper and Silver Mining Company closed. The town languished until tin mining began in 1928 and several cattle stations and farms were settled. Today zinc, copper, lead, silver and lime are mined in the area. 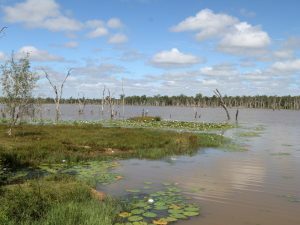 Wurruma Swamp attracts an amazing range of bird life and at certain times of the year there are thousands of blacks swans on the waters. 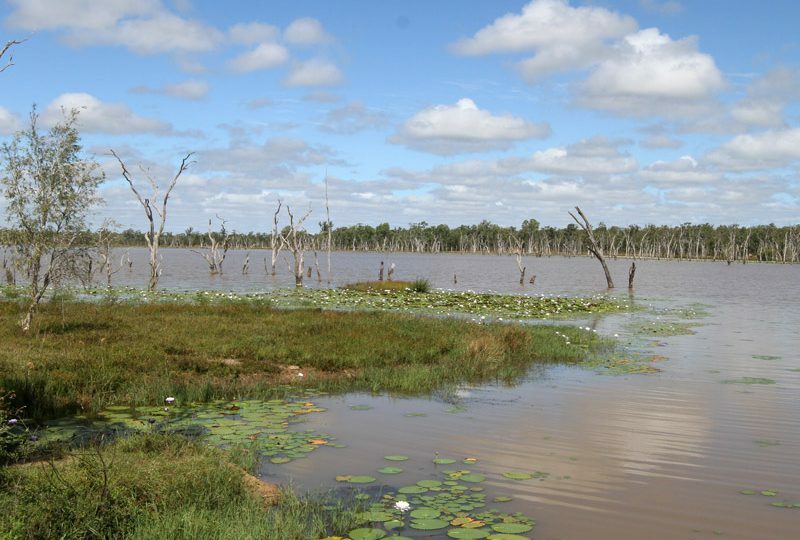 The swamp retains water long after other local wetlands have dried up and is used for a water supply to the township.